Summary: Amina is a shy sixth grader. She has a beautiful singing voice, but prefers to stay out of the spotlight. Middle school is proving challenging, as her best friend Soojin is thinking of changing her Korean name to Susan and has started hanging out with Emily, a former enemy of both girls. 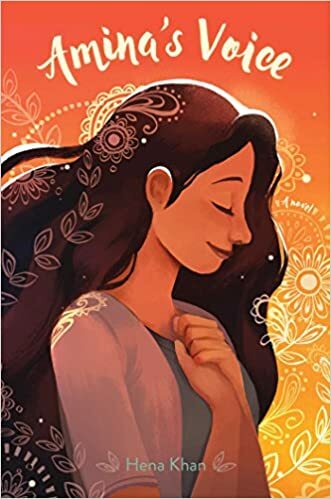 In addition to these universal problems, Amina struggles with her Pakistani immigrant parents who don’t always understand the American culture she and her brother live in. When a conservative uncle comes for a visit from Pakistan and the Islamic Center is severely vandalized, Amina realizes she must overcome her shyness and learn to express who she truly is. 208 pages; grades 3-7. Pros: A moving story about a contemporary immigrant family and the struggles each member faces. Readers will relate to Amina and her older brother Mustafa, while learning more about Pakistani culture and Islam. Cons: Kids may need some guidance in reading about the hate crime against the Islamic Center.